In this challenging logic game, eject the "virus" from the board by strategically sliding the moving puzzle pieces. The goal is to get the Virus off the board through the corner exit, maneuvering the tiles with sheer brain power. The game booklet has 60 multi-level challenges from easy Starter to difficult Wizard, together with their solutions - no peaking though! 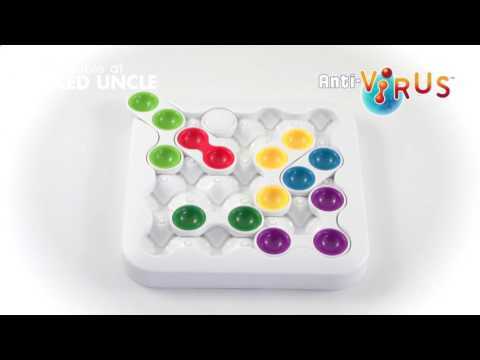 Can you correctly wiggle the colored molecules and reject the deadly virus? IQ building fun that is strangely addictive and super brow-knitting! Box Size: 9.5" x 9.5" x 2"